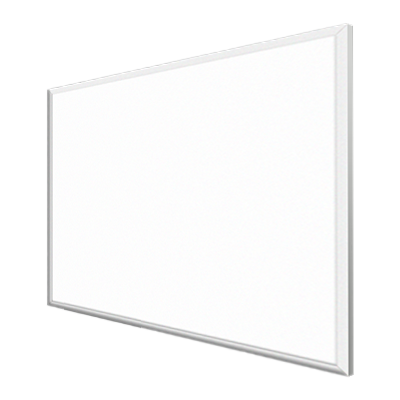 Slimline, stylish and economical, infrared panels are perfect for homes and offices. Designer Panels are Wi-Fi controllable and DIY compatible. Infrared provides a gentle, natural heat to promote muscle flexibility. Efficient and stylish heating solutions to complement sophisticated interiors. Comfortably maintain 40°C temperatures and above with natural radiant warmth. Energy-efficient, controllable heat for classrooms, dining halls and theatres. Heat key areas using direct radiant warmth. Ideal for large, open-plan spaces. Instant and effective radiant heat with plug-in-and-go functionality. If you’re looking for ways to save money on your energy bills and invest in the latest heating technology, infrared heaters are the ideal choice. Not only does our extensive range of infrared heaters look modern and stylish, they’re also one of the most energy efficient heating options on the market today – you could make huge savings on your heating bills when compared to more traditional forms of electric heating. Infrared heaters are a new and innovative form of electric heating. Radiant heat, combined with digital control from timers and thermostats, can help you maximise energy efficiency and lower running costs. 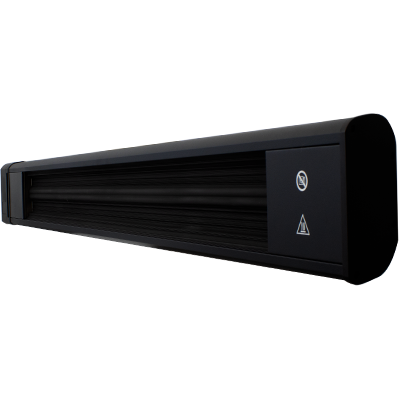 Stylish and modern, infrared heaters are designed to heat people and surfaces directly, warming the fabric of the building and objects in the room rather than the surrounding air. Infrared Heaters Direct are the UK's premier retailer for energy-efficient infrared heating and our mission is to bring you the best deals in the UK with a level of service that can’t be matched. Indoors, our slimline infrared panels can be mounted on walls and ceilings to provide discreet and efficient heating throughout the home. Infrared panels provide all the comfort of ordinary radiators, but without the spread of dust and heat loss through draughts: they're cheap to run and gentle on allergies. Commercial properties and public buildings such as churches and warehouses can make huge savings with ceramic infrared heaters. Infrared is ideal in these large, draughty spaces because you can zone the heat to where you need it, rather than heating the whole space: efficient and comfortable. Outdoors, our range of infrared outdoor heaters is ideal for home patios. With low running costs, low installation costs and no ongoing maintenance, they offer the perfect outdoor heating solution for pubs, restaurants, bars, clubs and smoking areas. We provide our customers, both domestic and trade, with energy-efficient heating solutions at the UK's best prices. For a free quotation call us on 0330 880 8383. Infrared is another name for heat radiation. Radiation is the most efficient type of heat transfer, as heat passes directly from one object to another without heating the air. The Sun heats the Earth via radiant heat, warming our planet across the vacuum of space with infrared waves. Infrared heaters use this principle to heat rooms, people and outdoor spaces. Infrared panels and patio heaters do not heat the air, like convection heaters; they use all their energy to directly heat the people and objects before them. What makes infrared heaters efficient? Infrared heating is much more efficient than traditional forms of heating because much less heat is lost. Most heating systems deliver the majority of their heat through convection. Central heating radiators, for instance, deliver only about a third of their heat through radiation; most of their heat comes from the circulation of hot air behind the radiator, which fills the room with warm air, raising the ambient temperature. Convection heating is simple and effective, but it is also wasteful. Transferring heat to the air, which must then transfer it to the people in the room, is inherently inefficient. Radiation effectively cuts out the middle man, by transferring heat straight from the heater to the people in the room. Convection heat is easily lost through draughts, or opened doors and windows. Warm air naturally moves to cooler locations, so as soon as the air in a convection-heated room has a means of escape, it will flow outdoors, leaving the room cold. Radiant heat, meanwhile, heats objects, people and surfaces. Solid objects hold their heat much better than the air, because they are static and are much less likely to float out of the window! In well-insulated rooms, objects and surfaces cannot pass on their heat to the outside world, so they radiate it back into the room, conserving the heat energy and turning the room into a 360˚ radiator – cosy, and efficient. Are infrared heaters expensive to run? No – the efficiency of both outdoor and indoor infrared heaters makes them some of the most economical heating solutions on the market. 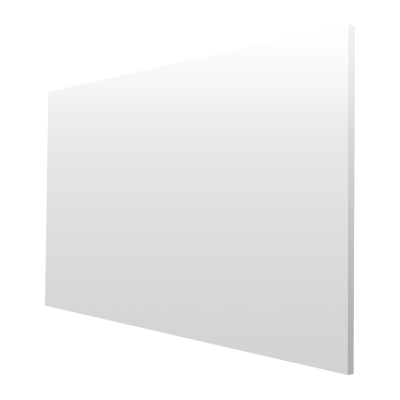 Infrared panels are uniquely cheap to run because the heat they give off is absorbed directly by the objects and surfaces in the room. They don’t have to work hard to top up the heat when warm air escapes through draughts and open windows. Coupled with thermostats and programmers, infrared panels provide one of the cheapest electric heating solutions on the market. Thermostat control will ensure your panels only use power when the temperature needs topping up, whilst programming a heating schedule will guarantee you don’t waste energy heating empty rooms. Outdoors, infrared heaters provide by far the most economical means of heating. Heated air is immediately lost in outdoor locations, as warm air diffuses to cooler locations, but radiant heat will heat you regardless of the temperature of the air. Electric patio heaters are cheaper to run than gas-fired equivalents because bottled gas is more expensive than mains electricity, and with a gas heater you have to factor in the costs of purchasing and transporting gas cylinders, and having your heater serviced. Electric patio heaters do not need servicing and are maintenance free. What’s the difference between quartz heaters, ceramic heaters and infrared panels? Infrared heat is part of the electromagnetic spectrum. All objects give off radiant heat, but the type of radiation given off changes depending on the temperature of the objects. Hotter objects give off a more intense form of infrared which feels hotter on the skin, but is harder to absorb deep into our bodies. This is called near infrared heat. Cooler objects give off a less intense form of infrared that can penetrate more deeply and warm us more thoroughly than near infrared. 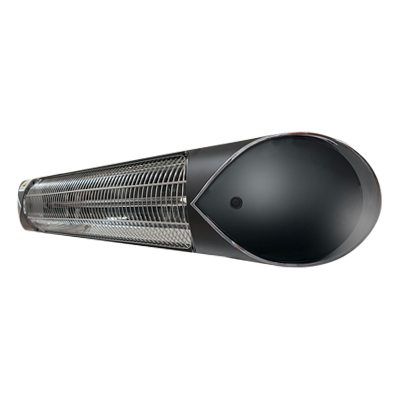 Infrared heaters use these different types of infrared to provide heating levels suitable for a wide range of applications. 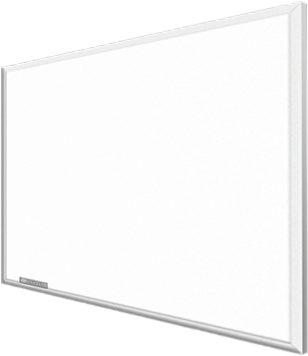 Infrared panels get up to 90 ˚C and produce far infrared heat. This is the most efficient choice for indoor locations because we absorb this type of heat most easily, and it stays luxuriously comfortable for hours on ends. And for good reason! Far infrared heat is the same form of infrared that we ourselves give off – it’s a very natural form of heat, which is why it’s also used in incubators for babies. Ceramic heaters get up to 300 ˚C and produce a balance of far infrared and medium wave heat. This heat is still gentle enough to heat comfortably for hours on end, but it is intense enough to combat the movement of air in large and draughty locations. Ceramic heaters are ideal for commercial applications, such as warehouses, factories and garages, and large public buildings such as school halls and churches. 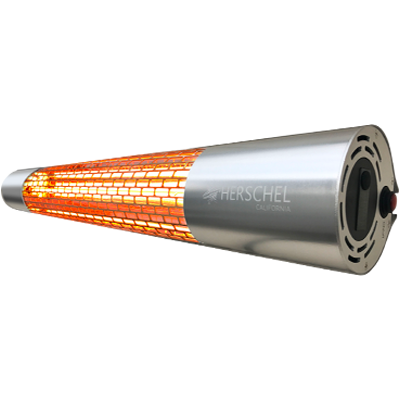 Quartz heaters get up to 1500 ˚C and give off near infrared heat, as well as a bright orange glow. This heat is much more intense, making it perfect for exposed outdoor locations where the heat from a far infrared heater would not be felt. Quartz heaters heat up instantly, however they can become uncomfortable after prolonged exposure due to the intensity of the heat. They are ideal for patios, pub gardens and smoking shelters where an intense heat source is required for short bursts of warmth. Do all infrared heaters glow? Only quartz heaters, used principally for outdoor heating, give off any visible light. This is because the heating elements get hotter than the elements in no glare ceramic heaters or infrared panels. 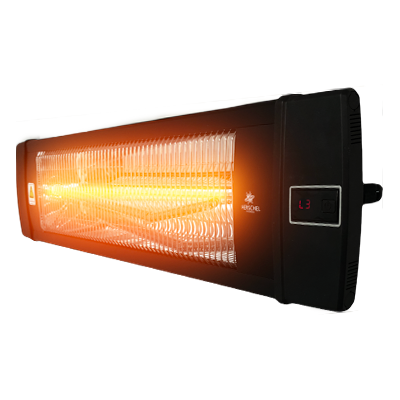 The low red or orange glow is accompanied by a more intense heat than that given off by other infrared heaters. This intensity is useful in exposed outdoor locations where the additional heat can compensate for the chill and restlessness of outdoor weather. Another benefit of glowing quartz heaters is that they heat up instantaneously, which is why they are also popular in bathrooms and other rooms where on-demand heat is desirable to reduce energy usage. 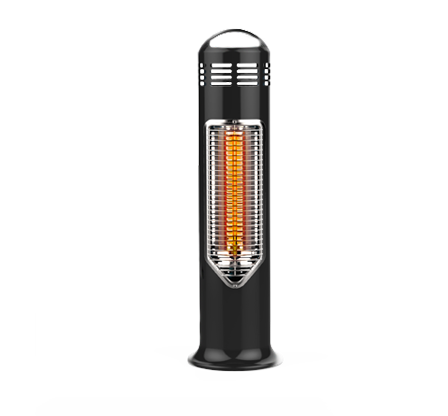 Quartz heaters are also known as halogen heaters, tungsten heaters, low glare heaters and near infrared heaters. Yes, entirely. Some people are put off by words like “infrared” and “radiation”, but there’s no need to worry – infrared radiation is 100% natural and risk-free. In fact, it offers a unique health benefit over conventional heating solutions. Whilst radiators which heat by convection move the air about the room, disturbing the dust and spreading it around the room, infrared radiation only heats objects. This means the air does not move around and does not disturb the dust, a big plus for people who suffer from dust allergies or asthma. Some people are concerned that, because infrared heaters heat in the same way as the Sun, they can cause burns similar to sunburn. However, the Sun only burns because it gives off ultra-violet radiation. Ultra-violet is on the same spectrum as infrared radiation; however, objects have to reach temperatures of thousands of degrees before they give off any UV radiation. Objects such as the Sun and the fluorescent lamps used in tanning beds reach much higher temperatures than any of our infrared heaters. 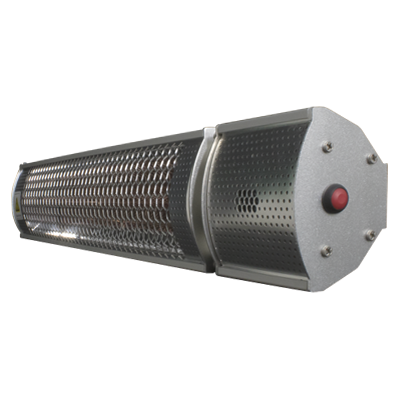 None of our heaters give off UV light so there is absolutely no risk of burns. The far infrared radiation given off by ceramic heaters and infrared panels is the same type of heat radiation given off by our own bodies. That’s why we absorb it so easily and it feels so comfortable. Far infrared is so effective and safe that it is even used in incubators for babies. The near infrared radiation used in outdoor heaters is less comfortable for prolonged use, because the heat is more intense, but it is equally safe, with no associated health risks. 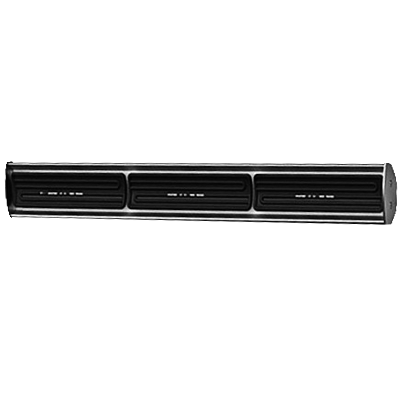 What size heaters do I need? It’s important to make sure you choose heaters with sufficient power to heat the space in which they will be used. If you are looking for infrared panels to heat your home, you can use our infrared room calculator to receive an instant calculation of the wattage required to heat the room. All you have to do is enter the dimensions of your rooms and indicate the quality of your insulation to instantly receive a recommended wattage. Then it’s a simple matter of choosing a panel, or combination of panels, that equals or exceeds the recommended wattage. If you’re choosing outdoor heaters, you simply need to choose a heater, or combination of heaters, that offers a heating area large enough to cover your space. All our heaters indicate clearly what size area, in m2, they are designed to heat. If you prefer to speak to an expert, we can give you all the help you need to choose the right heating configuration to effectively heat your space. Our expert heating advisors will put together a free, no obligation quote tailored to the needs of your property. No job is too big or too small: our advisors have extensive experience quoting for both domestic and commercial properties.